We have improved services significantly because we can launch multi-channel campaigns for new clients around 76% faster after moving RiMANGGIS to AWS. Headquartered in Hong Kong, RADICA provides digital marketing solutions to around 300 businesses. The company also has offices in Shenzhen, Guangzhou, and Shanghai, and specializes in helping companies target consumers in Asia. Its client base covers Fortune 500 businesses such as Marriott International as well as leading brands including Steelcase and Ermenegildo Zegna. RADICA helps its clients boost the value of their customer data and customer relationship management (CRM) systems for email, mobile, and social media messaging campaigns. Customers integrate their data with the RADICA RiMANGGIS platform, which automates campaign activity and sends out as many as one million marketing messages a day. The platform also provides detailed analysis of campaign performance to help optimize spend. To maximize the agility of RiMANGGIS, RADICA looked to migrate the platform to the cloud. Previously, the platform was supported by on-premises infrastructures in Hong Kong and Shenzhen. These environments lacked agility, so when a new customer came on board, it took up to three months for all the data to be integrated and tested, and for the platform to be campaign-ready. Furthermore, the infrastructures were largely manual. This meant RADICA IT personnel had to focus on daily management instead of developing new value-added services. To manage the complexity of message queuing, RADICA uses Amazon Simple Queue Service (Amazon SQS) and applies Redis for database caching. Storage for all multimedia data, including images and videos, is provided by Amazon Simple Storage Service (Amazon S3). 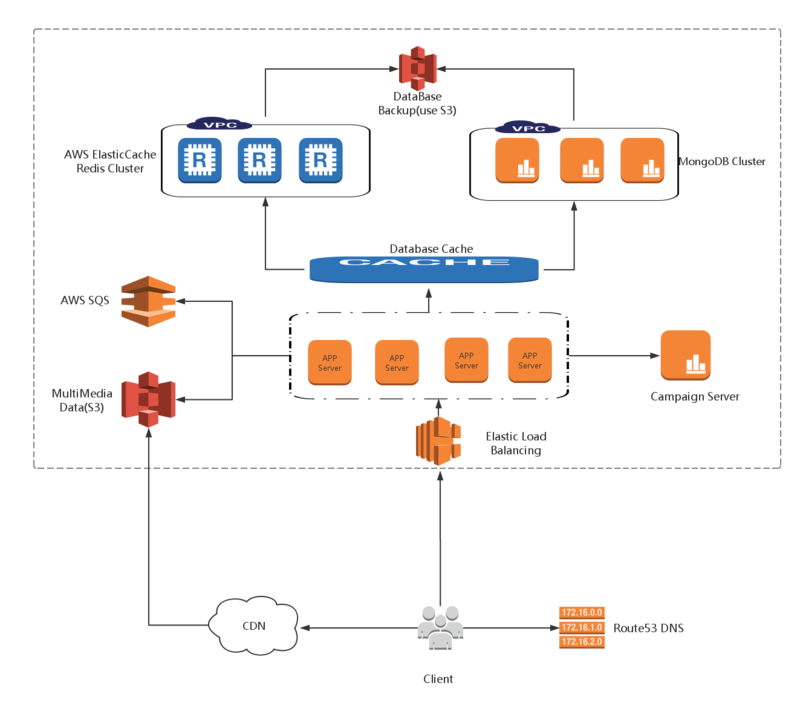 “We have started using tools like AWS CloudFormation and AWS OpsWorks, which can improve the integration between AWS and automated deployment and batch management. Our server runs on Linux and our web server on NGINX. We value the open source developer tools available, as we can easily make adjustments to RiMANGGIS per project,” says Chan. The company has significantly reduced hardware expenses by migrating to AWS, and no longer operates a data center in Shenzhen. “We have cut platform costs by up to 30 percent because we don’t have to maintain an on-premises platform, or the Shenzhen site,” says Chan. The reduction in spend, however, goes beyond hardware and data center costs. Because RADICA has stopped running RiMANGGIS in its data center, the company has been able to redirect much of its IT team away from daily management. “Forty percent of our IT team can now concentrate on development versus administration. By moving to AWS, we can place more emphasis on innovation and creating digital marketing services that will drive our business forward,” says Chan. Besides encouraging innovation, RADICA has aligned its IT strategy with that of its clients. A growing number of customers are running their IT systems in the cloud, and expect RADICA to do the same. “We know AWS instills a lot of confidence among enterprise customers, particularly over data security. We can now target new markets and develop our RiMANGGIS offering to reflect the changing requirements of marketers,” says Chan. To learn more about how AWS can help your digital marketing needs, visit our Digital Marketing details page.